Australia has seen some incredible innovation in cryptocurrencies in the past year. Still in its early days, the Australian industry has rapidly grown to support and grow the ecosystem, by providing a variety of products and services around crypto and blockchain. This is where BTC.com.au comes in with its Bitcoin product & services suite. From paying bills with Bitcoin, to being able to easily spend Bitcoin or Ether with a debit card, this Sydney based start-up is poised to help support mass adoption. Spending crypto is a major pain point in the industry at the moment due to lack of merchants. Mobile wallets and the general infrastructure to support payments is still being built. Its not a bad thing, its just a sign of the industry still in early development. This being said, the pain point still exists and it is a problem. Digital payments in Australia are very popular and widely used, creating an opportunity for hybrid payment solutions. BTC.com.au’s flagship product is a crypto debit card. This card can be loaded with Bitcoin or Ether, and can then be used to spend at merchants which take Eftpos. By improving the crypto payment process and user experience, its bridging the gap between the old-world and new-world. Additionally, the card can also be used to draw cash from an ATM. So if you have loaded some Bitcoin or Ether on the card and need cash, then its the same process you would use for your normal bank card. 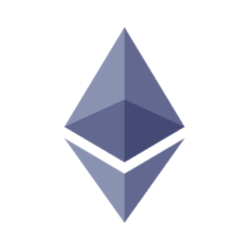 Currently, Ether and Bitcoin can be used with the card, however, more coins will be added to the debit card in the near future. Part of the teams long term strategy is to continually add new coins to the card, providing customers a wide change of options to suit their needs. You can find more information on the card itself here, and on the fees and charges in the PDS here. 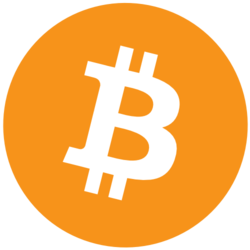 In addition to the debit card, BTC.com.au offers a simple and easy to use Bitcoin brokerage service. Its an alternative to the sometimes daunting process of using digital currency exchanges. By using POLi, deposit time is instant and free. The team have made the process really straight forward. You just select your bank, enter your banking details, email address, phone and bitcoin wallet address. The order is then submitted and in most cases, completed within 60 seconds or less. New to crypto? We made an online course covering all the basics, and its now free. The other available option is using hard cash. By partnering with Blueshyft, customers can easily create an order using their email address, mobile number and wallet address. Once the order is created, simply visit a participating retail outlet and make the purchase in store. The effort that BTC.com.au has undertaken to ensure the overall quality of their platform is evident. In addition to being registered with the Australian Digital Commerce Association, the legal documentation behind the company and product is easy to find. Registering an account on the website is quick and easy. The user-experience is good, complemented by a fast and snappy website. You can visit BTC.com.au here. You can read more about the card here, and you can view the PDS here. Disclaimer: This is a sponsored post. As such, this information should not be interpreted as an endorsement of cryptocurrency or any specific provider, service or offering. It is not a recommendation to trade. Cryptocurrencies are speculative, complex and involve significant risks – they are highly volatile and sensitive to secondary activity. Performance is unpredictable and past performance is no guarantee of future performance. Consider your own circumstances, and obtain your own advice, before relying on this information. You should also verify the nature of any product or service (including its legal status and relevant regulatory requirements) and consult the relevant Regulators’ websites before making any decision. Cryptocurrency Australia Media, or the author, may have holdings in the cryptocurrencies discussed.